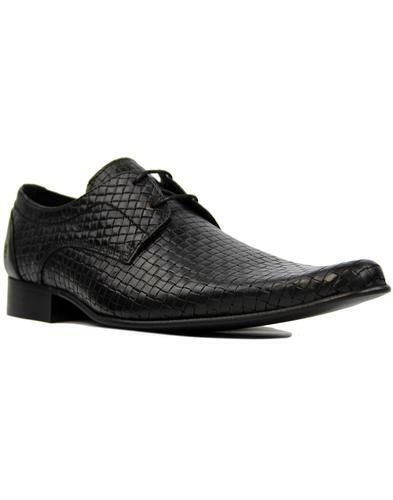 Ikon Original 'Buckler' Men's Mod basketweave stamp shoes in smooth black leather. This slimline Derby silhouette features two eyelet lace fastening and classic Retro block heel. The slightly pointed toe is a nod and a wink to traditional 1960s Mod Winklepicker shoes. With a slimline outsole and smooth leather heel panel, the 'Buckler' Ikon Original basketweave stamp shoes are sure to offer texture and style to any smart-casual Retro ensemble. 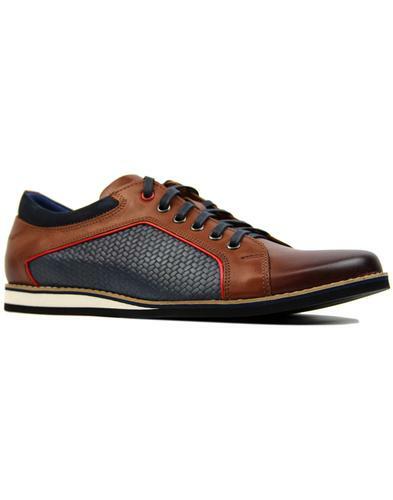 Banging the drum for classic Mod style - 'Buckler' basketweave shoes from Ikon Original. - Ikon Original 'Buckler' men's mod basketweave shoes in black. - Basketweave stamp upper with smooth leather heel panel. - 2 eyelet Derby lace fastening. - Slightly pointed mod winklepicker toe. - Ikon Original debossed stamp to heel counter. 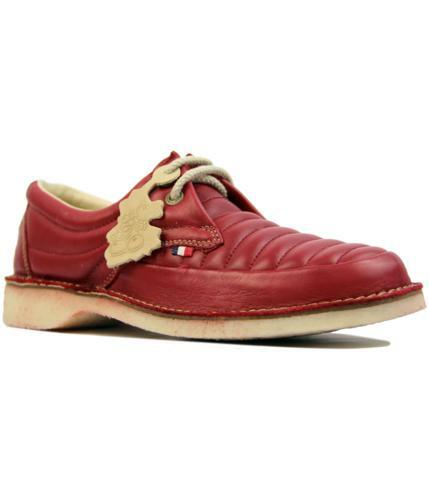 - SKU: IK3354A Buckler Basketweave shoes.